If you are are looking for the status of recently updated Aadhar card, here is the complete guide to getting the Aadhar card update status. Aadhar card information update request can be sent offline and online. Once submitting/updating latest changes either your address or Name, etc you will receive an update request number (URN) on the registered mobile number. This number is most important to check your Aadhar status online, make a note of it, henceforth this URN will give the current status of your update request. Now to get your request status visit the Aadhar official website enter this update request number and proceed further the page will show either status success or still in process. Without this URN also you can check the status directly with your Adhar number the below you find how to check your Aadhar card status using these two ways. This URN number is when do you update aadhar card that time you will get this URN number (if you forgot or lost URN number go through 2nd method). 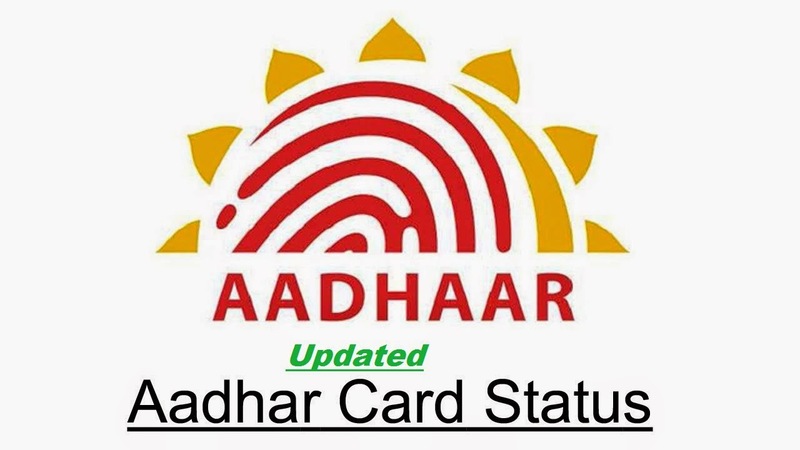 Now you will get status its updated or not, if updated then download your aadhar card. when you forgot or lost URN number(for the check of updated aadhar card status) don't worry you can Directly Download Aadhar Card and check your data will be updated are not. Download your aadhar card using your aadhar details of updated data and check its updated or not. We Know the Updated aadhar card status by downloading aadhar card. Is there any way to check updated aadhar card status without URN number and registered mobile phone number .? Dear Sir, we have sent the adhar application for the change of address, URN number is received but still we have not received any information. Kindly look into the matter. Dear sir/ Madam, I see that my aadhar card request is completed successfully ... what next would i need to go to the nearest Bangalore one office and get a new one or is the procedure completed.. Please advice.. I submitted address update request on 11 Feb and it is around a month and the status still seems to be in progress. I am also unable to download the old aadhar card as it does not accept my old or new pin code. How do I get this fixed. When checking status by URN it just shows in progress. I have updated my urn and it has been approved also will i recieve at my home? I have updated my mobile no. & they have sent me URN No. but I am not able to check the status of my Aadhar card update. Whenever I am checking it is showing that URN no. is incorrect. You have enter the URN without the forward slashes (only digits) in the edit box while checking the status. When you're entering the URN in the edit box, just type the numbers without forward slashes. It will work. 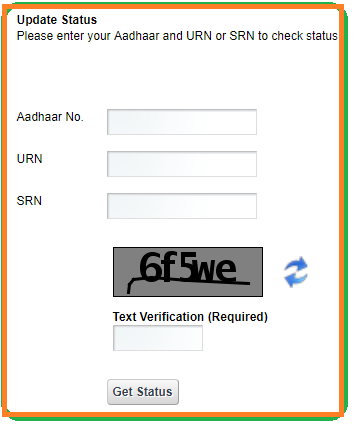 i already send request for update aadhar card,in how many days it wiil process?? i have submitted necessary documents for aadhar card updation by post one week (26-08-2016) back but till now i didn't recevie any response from deparment. Hi, I had updated my aadhar surname by aadhar card update online but to check the update online when i enter URN it said that request is pending for approval,what to do? To do aadhar verification click here. I had visited the aadhar updation center to update bio- metric, the updation had done and URN generated but while checking it is showing in correct and while checking my aadhar status it shows inactiveted.